Positive Corporate Social Responsibility improves a company’s public image and relationship with consumers. It is all about reputation. Customers want to trust organisations they engage with. Employees want to work for values-driven employers and investors want to know that a company is addressing its ethical responsibility. Corporate Social Responsibility has many advantages that can apply to any business, regardless of its size or sector. and report your CSR activities. Improve your brand reputation to all of your audiences through delivering ethical practices throughout your business. Building a reputation as a responsible business can lead to competitive advantage. 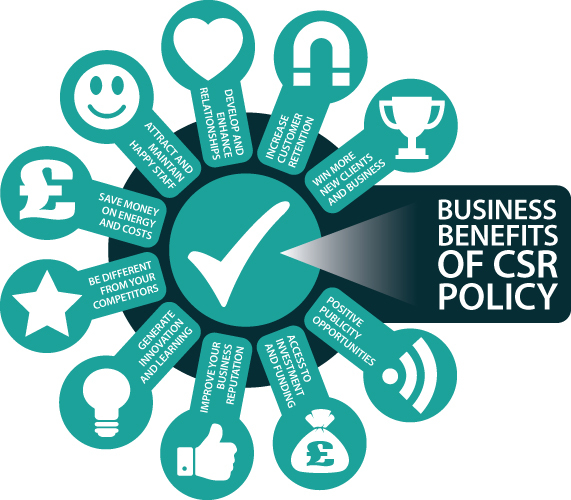 Using CSR accreditation can help you engage with your customers in new ways. Since the message is about something ‘good’, it can often be an easier way to talk to your customers. Employees want to feel proud of the organisation they work for and are less likely to look for a job elsewhere. It is also likely that you will receive more job applications because people want to work for you. Investors are more likely to be attracted to and continue to support companies that demonstrate a commitment not only to employees and customers, but also to causes and organizations that impact the lives of others. A robust approach to Corporate Social Responsibility can give you an advantage in the tender process. It is now common place to be scored on your CSR performance including health and wellbeing of staff when tendering for both pubic and private projects. “Did you know that some buyers place a 30% weighting on Corporate Social Responsibility (CSR) and social value in their tenders? CSR accreditation provides the opportunity to share positive stories online and through traditional media. CSR is not something for the short term. It’s all about achieving long term results and business continuity. 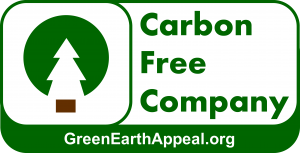 Become a Carbon Free Company and demonstrate your company’s corporate social responsibility in a way which doesn’t cost you a single penny. We will plant a tree on your behalf for every CSR Accreditation, and you will receive a digital certificate to show your environmental commitment. “Did you know that some buyers place a 30% weighting on CSR and social value in their tenders?